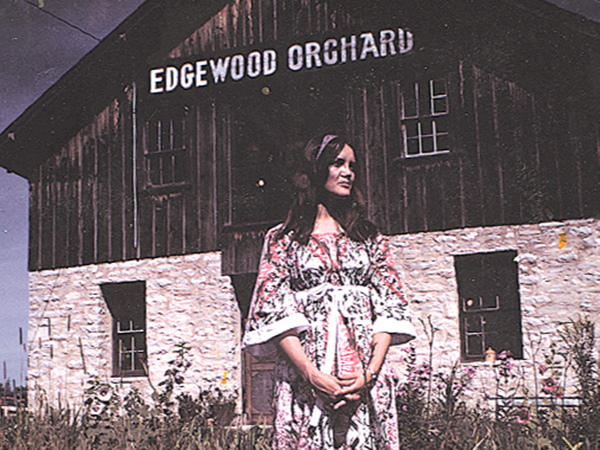 Edgewood Orchard Galleries is one of the Midwest’s most respected art galleries, known since 1969 for its exhibitions exploring ideas in a wide range of media. Paintings, sculpture, glass, clay, wood and jewelry are all represented. Open daily from May through November, the gallery presents monthly changing feature shows, along with its general exhibits of work by over 150 artists. Although many of these artists are of national reputation, the atmosphere is welcoming and creative, with a genuine love of art and people felt throughout. The setting is as exceptional as the artwork shown. Housed in a stone fruit barn built in 1918 and located on an 80 acre orchard, the gallery has been lovingly restored and enhanced by owner-architect Minnow Emerson. It includes a bricked courtyard with bistro tables and chairs, a glassed portico, a sculpture garden, fine leaded-glass windows and the beauty of nature outside every window. 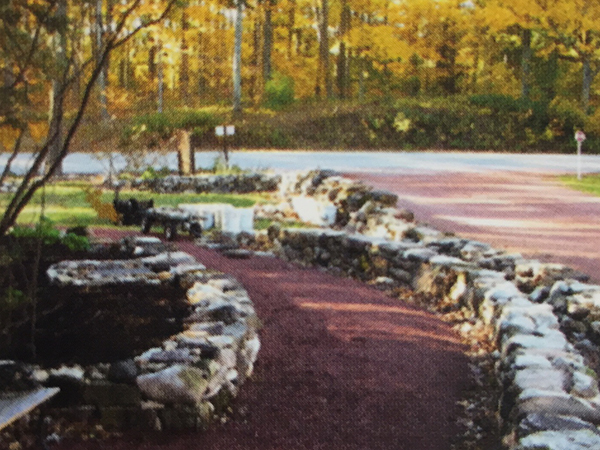 The gallery was started by artist Irene Haberland and her daughter Anne and and is now owned by Anne and Minnow’s daughter and son-in-law Nell Emerson Jarosh and her husband J.R. Nell grew up surrounded by art and the artists who create it, and Nell and J.R. are now happy to offer the same opportunity to their daughters. 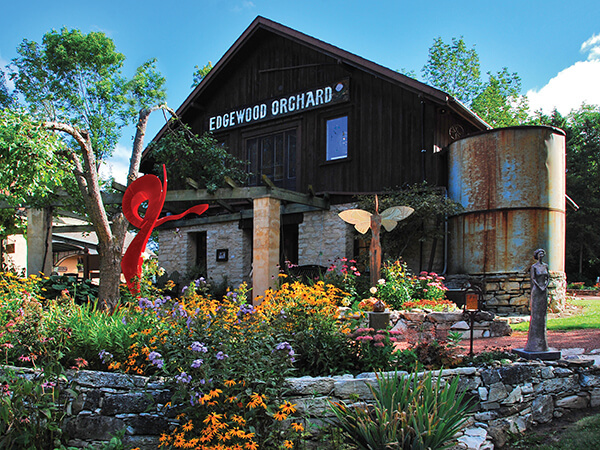 Located on the Door County peninsula of Wisconsin, a visit to the gallery also brings you close to excellent live theatre, music, fine art, education and retreat opportunities, alongside great natural beauty. Contact us if you would like Ike to receive one of our complimentary 12 month gallery calendars featuring new work by gallery artists. The calendar runs from May- April and in addition to beautiful artwork, it includes the gallery’s current show and special event schedule as well as the dates for many of the activities going on through out the year in Door County. 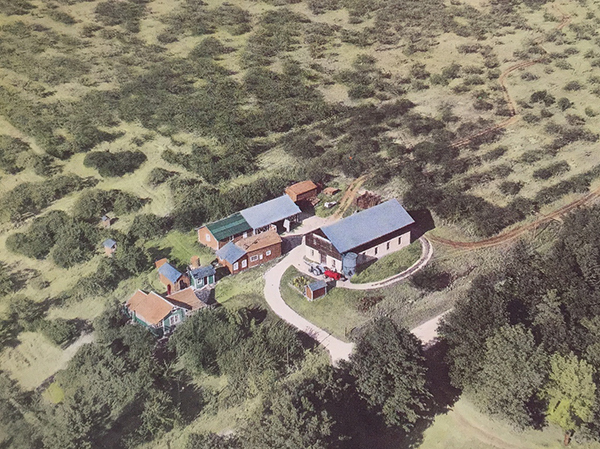 Irene Pamperin Haberland buys the 80 acre Edgewood Orchard property on Peninsula Players Road, saying she had fallen in love with some trees. 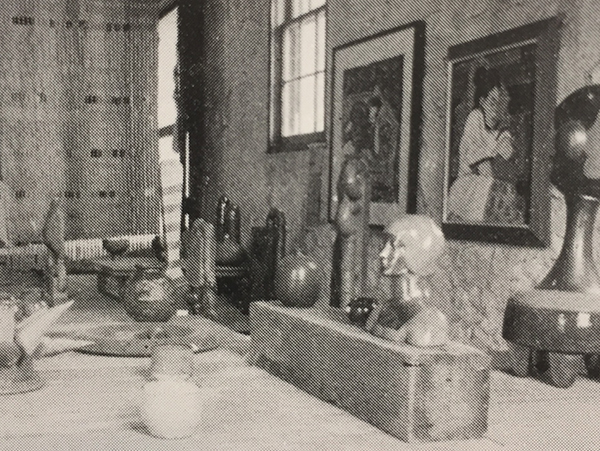 The first few years at the gallery were marked by modest but steady improvements- lights were added to show the artwork better and pallets and wooden crates for display were eventually replaced with more suitable pedestals. 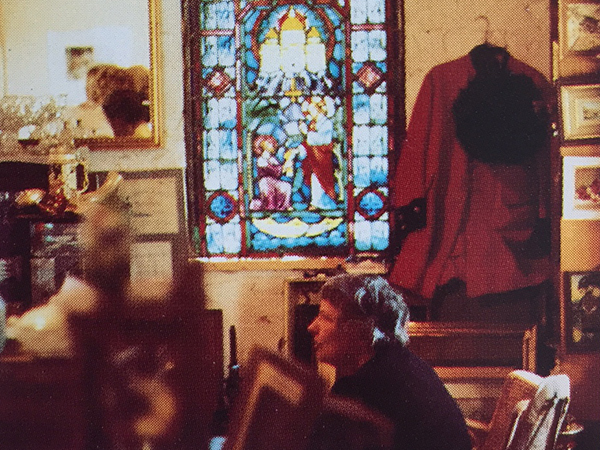 The constant of Anne’s enthusiasm about the artwork she was showing and Irene’s colorful presence in her antique corner laid the foundation for a promising future at their new gallery. 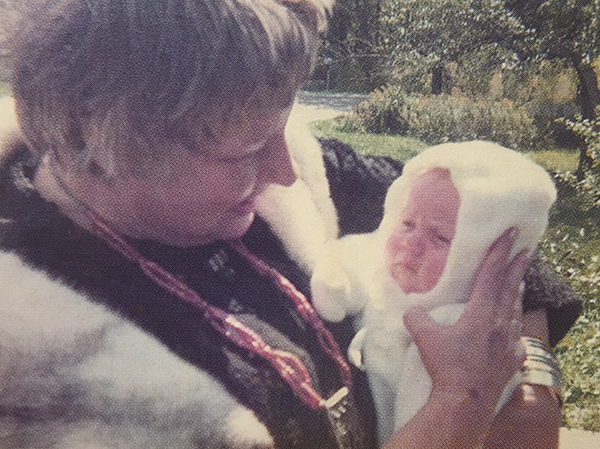 Student architect Minnow Emerson abandons plans to move to Alaska and heads to Fish Creek instead to join Anne and make a life in Door County. Anne & Minnow welcome their daughter Nell into the world, who grows up in the gallery learning about gemstones from her dear grandmother Irene. 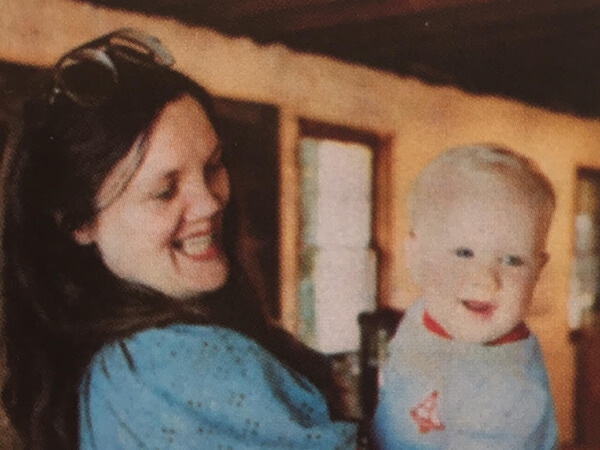 The mid-70s at Edgewood had Nell growing up, Irene selling antiques in her corner of the barn, and new artists added to each year to share their work with the increasing number of gallery visitors. 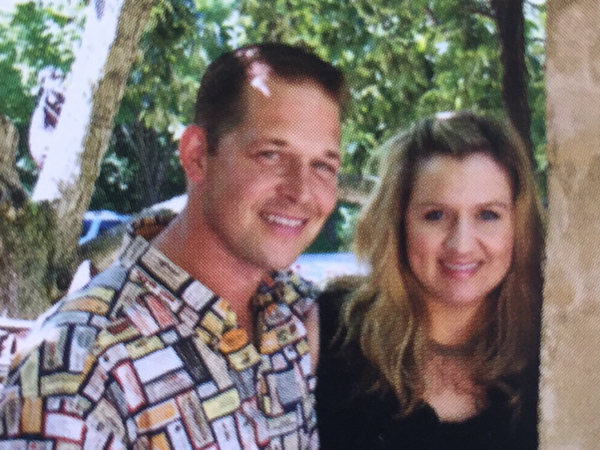 Anne & Minnow welcome a new son, Tucker. 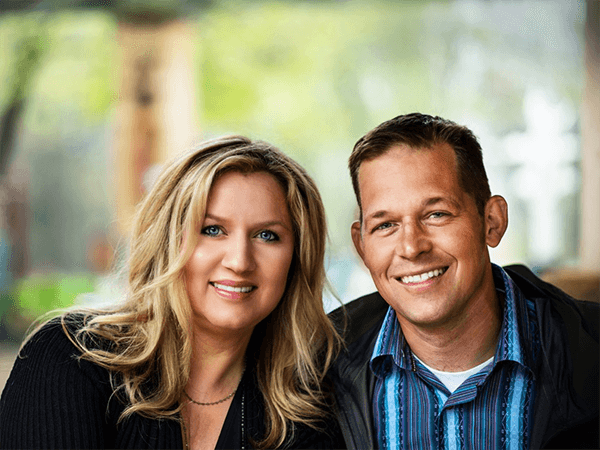 Now all grown up, Tucker and his wife, also named Anne, live close to the gallery and are the owners and operators of Emerson Chiropractic, a chiropractic clinic in nearby Juddville, WI. 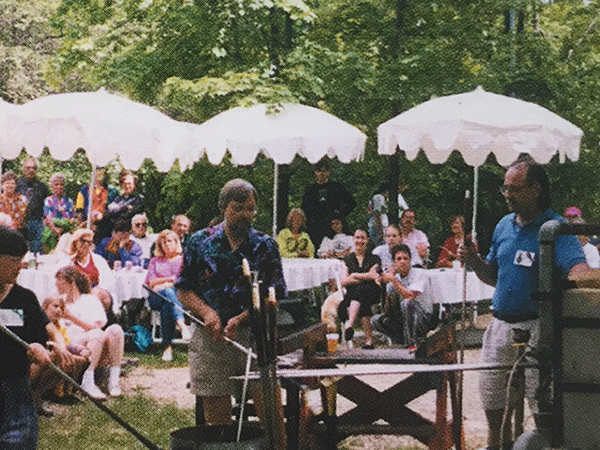 Edgewood hosted it’s first glass weekend on July 31 and August 1, 1982. The annual event evolved to include a temporary glass furnace with onsite glassblowing demonstrations, capped off with a pig roast/potluck on the last day of the weekend. 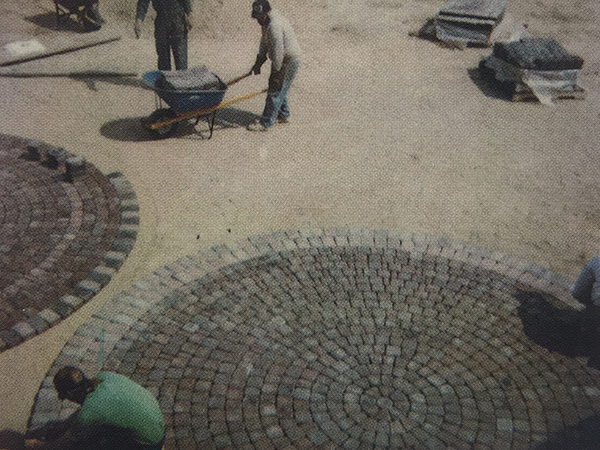 New Gallery entrance, pavers in the courtyard and The Courtyard Gallery are completed. 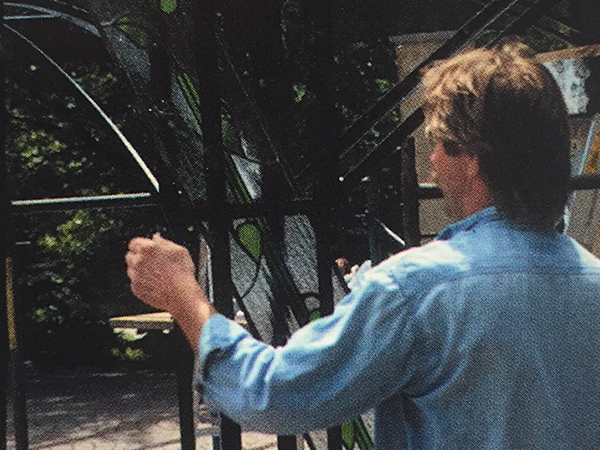 Minnow builds and installs the leaded glass portico, giving the gallery courtyard the look it has today. 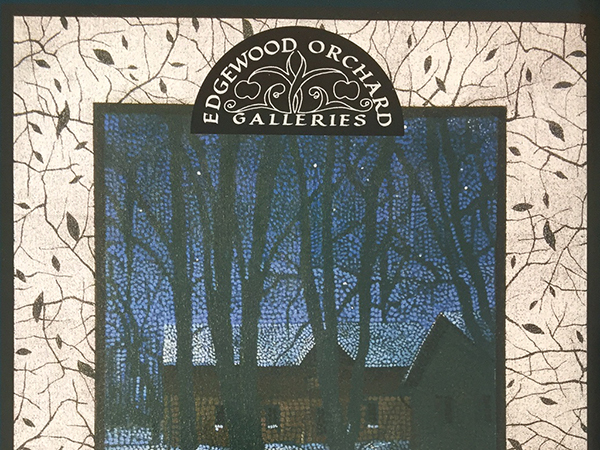 Nell Emerson returns to Fish Creek to work at the gallery, the start of the 3rd generation at Edgewood Orchard. 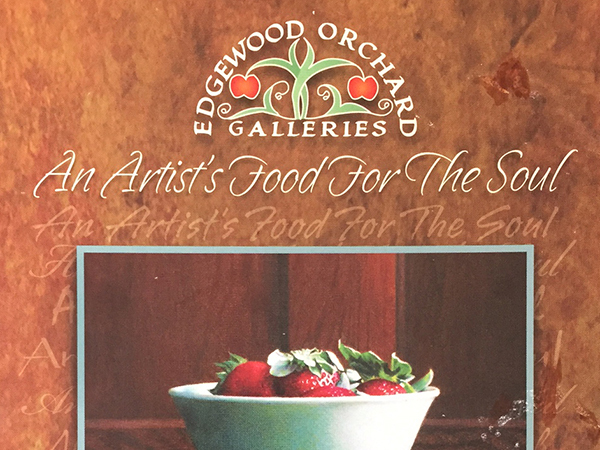 Anne and Nell publish the 1st Edgewood benefit cookbook, “An Artist’s Food for Thought”, on the gallery’s 35th Anniversary. 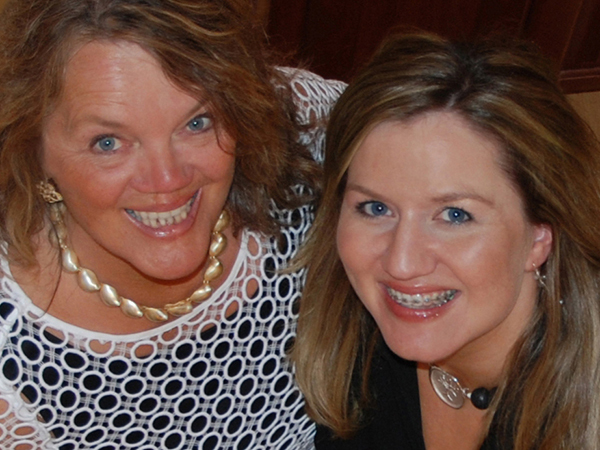 The cookbook sold out and raised $76,000 that was donated to programs fighting hunger. J.R. Jarosh starts working at Edgewood Orchard and begins to work on the gardens around the gallery. 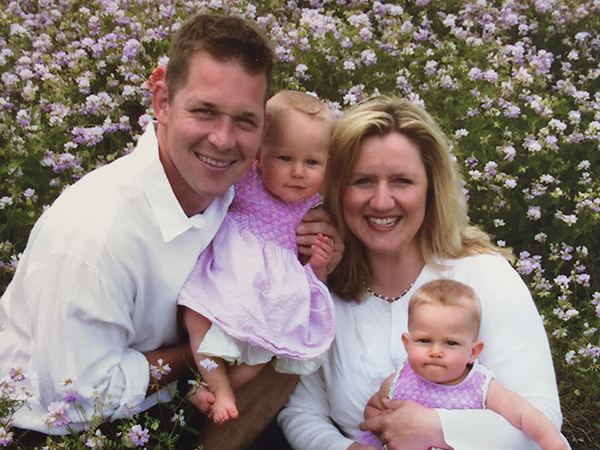 Nell and J.R. welcome their twin daughters Abby and Anna into the world, beginning the family’s fourth generation at Edgewood Orchard. After working on the new sculpture garden in the summer and fall of 2007 and spring of 2008, J.R. was happy to see the sculpture garden ready to open with the start of the Gallery’s 40th season on May 3, 2008. 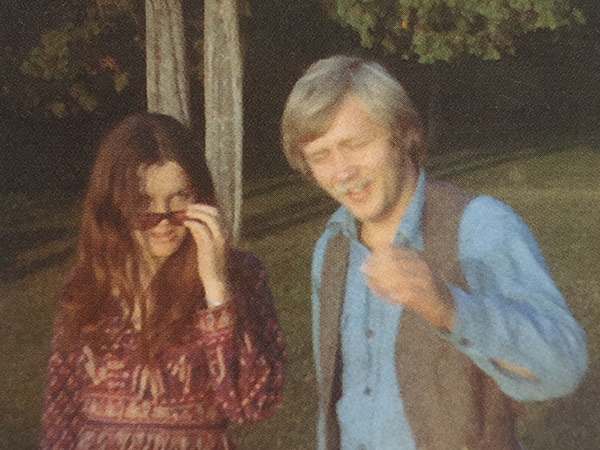 Anne, Nell, and Dan Cross publish the second Edgewood benefit cookbook, “An Artist’s Food for the Soul”, on the gallery’s 40th Anniversary. The cookbook sold out and raised $135,000 that was donated to not-for-profit organizations that work to make children’s lives better. 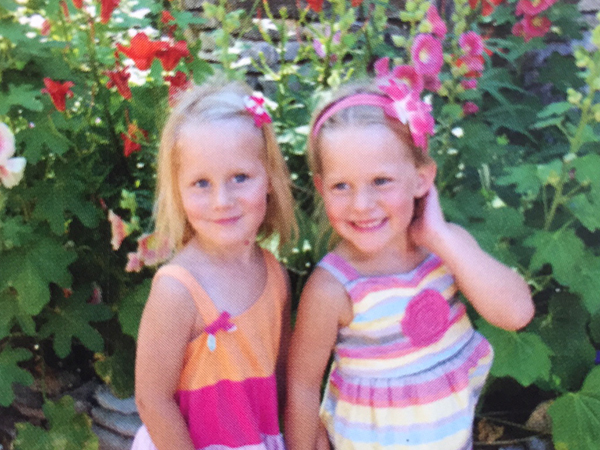 As Abby and Anna grow up at the gallery and enjoy spending time with Anne and Minnow much like Nell did with her grandmother, the gardens around the gallery continue to grow as well.